Over recent years, Wirksworth Swimming Pool has been generously supported by donations from the community. In particular, two local benefactors have supported the pool with significantly more funding than anybody else. It would be safe to say, that without the support of Sheila and John Kirkland, the pool would not be the fantastic community facility it is today. Their support has meant that we have a new ventilation system, a new circulation system, new pumps, filters and, very shortly, a new extension. 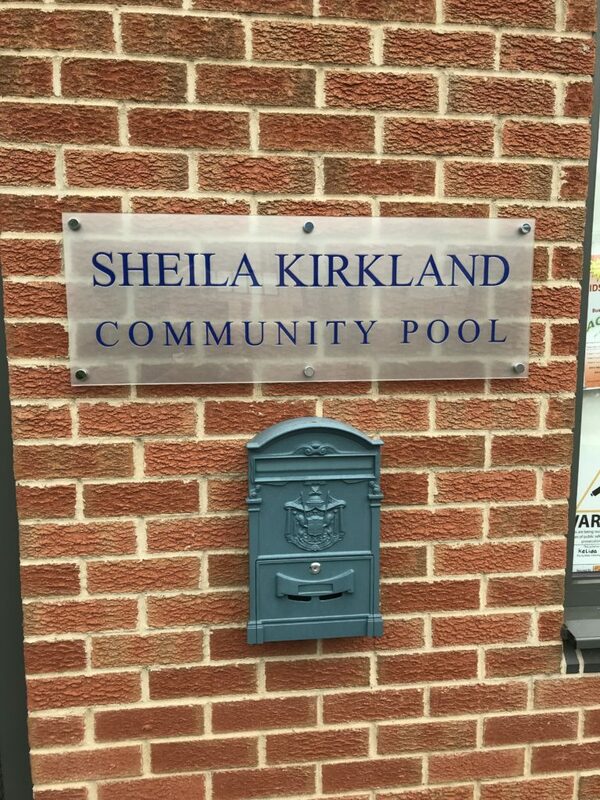 Sadly, Sheila Kirkland passed away in 2016, and in recognition of the contribution made by Sheila and John Kirkland, the Pool Trustees and staff would like to rename the pool the Sheila Kirkland Community Pool, Wirksworth.